These days, credit card issuers allow their cardmembers to do all sorts of neat stuff, though much of it isn’t advertised or widely known to the public. One such feature many issuers offer is the ability to choose your own credit card due date, or change your existing credit card due date. 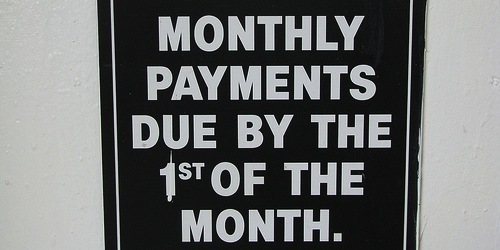 The most obvious reason one would change their credit card due date is to give themselves more time to pay their bills. So if your existing credit card due date is on the 28th of the month, but you’d rather pay it mid-month after receiving your month-end paycheck, most card issuers will offer such an option. Or perhaps you just want to consolidate all your monthly payments so they occur on a certain date, or during a specific week. This could make bill management easier for some. The opposite could also be true. Maybe you want your credit card payment to be due weeks after your mortgage, instead of being hit for it all at once. Whatever your reason, it’s not a big deal these days to change that due date. In fact, many credit card issuers will allow you to make the change via the customer control panel on their websites. You can change your credit card due dates for Capital One, Chase, and Discover online simply by locating the “change bill due date” or “change payment due date” link on the associated websites. For American Express and Citi, you must call customer service, which is the phone number listed on the back of the credit card itself. First off, you cannot select every single day of the month. Because some months only contain 28 days (February, I’m looking in your direction), you are limited to choosing a date that falls between the 1st and the 28th. Additionally, some card issuers, such as Capital One, only give you certain due date options, such as the 4th, 8th, 12th, 16th, 20th, or 28th of the month. Citi seems to restrict the due dates you can choose as well, limiting them to the beginning, middle, or end of the month. That should cover most people who don’t need/want to nail it down to one specific date on the calendar. Note: When you change your credit card due date, it will also change your billing cycle end date. If you push the due date to a later time in the month, it will make the initial billing cycle longer than the standard 30 or so days. While that all sounds innocent enough, and even a little bit of a perk (longer grace period), it could result in you paying more finance charges and being required to pay a higher minimum payment. If you carry a credit card balance and the APR is above 0%, you’re basically allowing more interest to accrue when pushing back a due date. Sure, it’s only for one billing cycle, but it could still cost you somewhat if you don’t pay your credit card in full each month. Lastly, keep in mind that a request to change a credit card due date could take a month or two before it’s successfully completed. In other words, you can’t change it immediately to give yourself breathing room on a looming payment. Also note that your account must be in good standing in order to change the due date. In the meantime, be sure to make your credit card payment(s) on time to avoid any unnecessary late fees and/or credit score dings. Read more: How much does a missed credit card payment lower your credit score? Very cool, didn’t know you could do this. I want all my due dates to be during the first week of the month since I get paid at the end of the month. Previous Previous post: BillMyParents SpendSmart MasterCard: Good for Your Teen? Next Next post: Warning: Credit Card Surcharges Start Sunday!